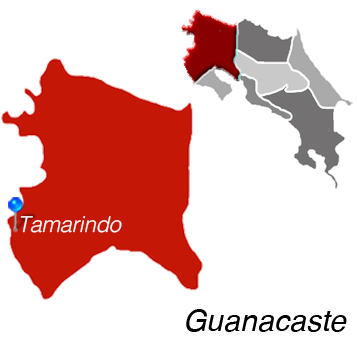 Community and Lifestyle in Tamarindo, Costa Rica. 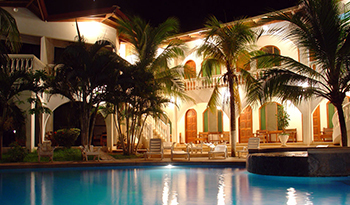 Tamarindo is a lively town filled with energy, both day and night. As you drive through town you'll notice a diverse mix of people enjoying the tropical atmosphere. You'll see merchants and shoppers mingling along the streets while locals and visitors drink cold “cervezas” at upscale beachfront bars. Tamarindo is a great place for people watching, even if you prefer to take things easy and leave all the hustle and bustle to others. There's no shortage of things to do in Tamarindo. An active community of foreigners have settled in this area, and they have brought all of the comforts of home with them. Americans will be delighted to find their favorite ingredients and other kitchen mainstays at AutoMercado, the American-style grocery store in Tamarindo. In this beautiful, well-stocked store, one will find items similar to those found in a Whole Foods or other North American grocery, including fresh mozzarella balls, hummus, American snacks and drinks, and upscale European beers. Dining out in Tamarindo always proves to be a good time, with an eclectic mix of local and foreign cuisines available. When it comes to coastal communities, Tamarindo has the absolute best variety of restaurants to choose from in all of Costa Rica. International chefs have set up shop in some of the country's most delicious restaurants and offer fusion cuisine inspired by the Mediterranean, France, Spain, and other parts of the world. Naturally, the seafood here is remarkable, and the incredible ocean views make any meal even more enjoyable. Those who love laid back retail therapy will find plenty of treasures in the town's countless clothing boutiques, souvenir shops, and other stores. New "tiendas" are always popping up throughout the area, so you'll never have trouble finding something new in town. Like other beach communities in Costa Rica, surfing is one of the biggest attractions for both Tamarindo visitors and residents. Tamarindo beach can change from quiet to bustling at a moment's notice, with visitors coming to enjoy the surf, sand, and sun. The town itself is located right along the beach, making it easy to mix up the day's activities by spending some time on the sand and taking in the best of the town, too. Tamarindo is equally appealing to visitors with a variety of interests other than surfing and beach lounging. A thriving sailing and boating community make Tamarindo all the more attractive to investors who have a passion for the sea. Yoga and Pilates enthusiasts will be pleased to find many studios, clubs, and class offerings. Tamarindo is also home to numerous spas and wellness centers that pamper and delight their guests. They have all the treatments offered in the United States, including facials, massages, pedicures, and lots more. If you are looking for a luxury experience, try out the renowned Los Altos de Eros spa.